NZTA was established in 2008 by head coaches, Gerrit Steenkamp and Guillaume Gignoux. In combination, we have more than 20 years of experience in the tennis industry. 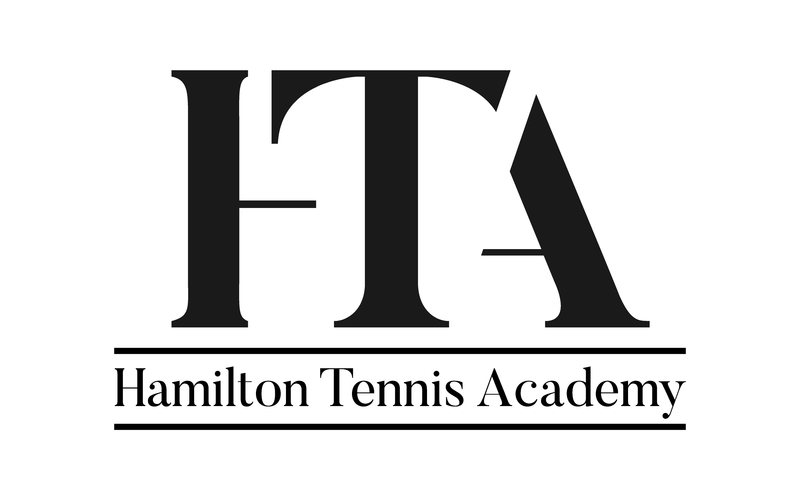 We began working for Waikato Tennis Association in 2003. At NZTA, we coach kids between the ages of 6 and 18 years old, from beginners to high performance players. Our general goal is to give our players opportunities for greater life skills, and for those who are high achievers, the chance to obtain scholarships in the United States, or even to become professionals. Our main base is at Waikato Bay Tennis on Dey Street in Hamilton. We have access to 25 courts; 3 indoor, 14 rebound ace, and 8 Astroturf courts. This tennis centre was established in 1922 and since 2007, is one of only six Regional Performance Centers (RPC) in all of New Zealand. Our second base is St Peters School in Cambridge with 14 courts (six floodlit). Of these 14; 11 are rebound ace and three are classic clay. At this base, we have access to a state of the art gym with treadmills, rowing machines, stationary bikes, weight machines and free weights. There is a new 25m, 10 lane lap pool for additional training or a cool down at the end of a hard day on the court. Our programmes focus on technical, tactical, psychological and physical components to build a complete player. Our available programmes include Hot Shots (beginners), coaching for Juniors and Elite squads, RPC academy, Regional Camps, Holiday camps and tournament trips in New Zealand, New Caledonia, Fiji, Australia and France. Our programmes have been very successful with a total of 25 national titles won in singles. I am from Bordeaux in the South-West of France. I have played tennis since I was four years old. I started hitting against a wall at a tennis club because they did not accept kids younger than six years old, but I was hitting the ball ok so they put me in the club coaching classes when I was five. I started coaching when I was 12. It was part of my contract with my club – they were giving me some training for free but I had to help with club tennis. My dream was to win the French Open but a ski accident combined with a weak knee made me realize at the age of 14 that I did not have a chance. It does not mean that without injury I would have made it (I don’t think I would have) but I would have tried for a few more years. 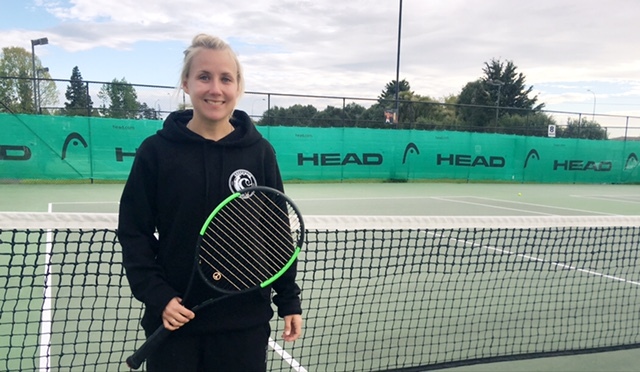 I started coaching full-time in 1999 with the French Federation and moved to New Zealand in 2005 where I started working with Gerrit at Waikato tennis. Ten years later we are still here. People asked me for years when I would go back? The answer: I won’t. I love New Zealand too much and I couldn’t leave players that I have coached for years. Since coming to New Zealand, I have lived in Raglan. I still live there; down a gravel road, in front of the Tasman sea, off-the-grid, with my beautiful family. Guillaume is sponsored by Wilson. I grew up in a small town called Hyvinkää in Finland. Moving to New Zealand has been a dream for me for many years, so I made a decision to come to Raglan to make those dreams come true. I started to play tennis with my parents and brother when I was around 5 years old. My family always made sure to travel with tennis rackets, so on every holiday we would spend a lot of time at the tennis courts. When I was 10, I began to play regularly in a local club and started to compete right away! I played quite seriously until I was 17-18 years old – when I suffered an injury to my back. It took a long time to heal, and made competitive play difficult. I ended up coaching more to stay as involved as possible with the sport that I love. I represented my club for Finnish National League for many years and played tournaments in Finland, Germany and Estonia. Coaching started as only a summer job for me when I was 13, but quite soon I found myself coaching a few times a week so I could play for free. When I finished school it became my full-time job until I started studying at the Uni, at which point I coached only part-time again so I could focus on my studies. I grew up with tennis, and from the very beginning I have had a passion for it! It has given me so much – my friends, my profession, opportunities to travel, and many great memories. Now, I am here in New Zealand – my dream destination – and I’m excited to be working with my passion once again! Originally from a small town near Cape Town in South Africa, I grew up in a tennis crazy family! Both my sisters are professional tennis coaches and both their husbands are also professional coaches and my mother still play most veteran tournaments in SA. At age 14 I decided that tennis was the sport I loved and I fully commited myself to it. I had very little success before my second year u16s where I finally broke into the top 4 and started winning National titles. This gave me the opportunity to travel in the SA squads overseas. We spent 6-10 weeks in Europe during the summer and also more than 6 weeks a year in America. I had some success as a junior by reaching the finals of u16 Orange Bowl doubles. The junior ITF circuit was not as established when I played but I did manage to make it to top 50 u18 and therefore qualified for a spot in the main draw at Junior Wimbledon in 1991. The only part I remembered of my first round match was that I was extremely nervous and got what I call a hiding from the Number. 4 seed Paul Kilderry from Australia. I made the decision to go on tour straight after school and travelled the world for 5 years trying to succeed as a professional player. It was a tough 5 years but I enjoyed every second of it and am proud to say I gave it 100%. Financial constraints, no support and guidance played a big part in not reaching higher rankings but I will never see it as an excuse. My best singles ranking was 516 and doubles 253. My tennis goals were not reached and I started my Business Degree at The University of Stellenbosch which I finished in 2000. While at University, my coaching career started taking shape. I started working with travelling South African players coming home for a break. In 2001 I started working with my mentor and personal coach as a junior, Gerrie Berner. I found it a huge responsibility working with junior players and was very soon hooked on the challenge to help the youngsters. I started working at Waikato Tennis and St Peter’s, Cambridge at beginning of 2003. I soon figured out that there has been no consistency in the past and people were desperate for it. So the first 5 years were really just about building structure and creating a good training environment for kids to play and learn in. We had very little National success initially but then all of a sudden our players started winning National titles at most events played. I believe we have over 28 individual National titles now not even looking at National teams events or Secondary School titles. I’ve been involved in performance tennis for 25 years now! First as a top junior, then as a touring professional, working with professional players and the last 14 years working with junior players. There has been way too many highlights through the years to mention them all. I have been very fortunate to have personally met some great players through these years. To name a few world nr 1’s, Sampras, Edberg, Rafter, Muster, Kafelnikov, Roddick, Rafa and greatest of them all, Roger! I also have some great friends in the game from whom I learn on a daily basis by just talking and discussing the ins-and-outs of this great game we care for so much. As a coach I believe the day you are not prepared to learn from others anymore is the day you should find something else to do! Gerrit is sponsored by Wilson.